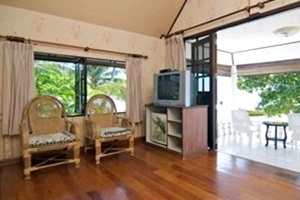 Lotus Paradise Resort Koh Tao Address : 9/99-101 Moo 1 Sairee Beach Koh Tao, Surat Thani 84360 Thailand. We offer accommodation to suit all budgets and wherever you stay is a within a short walk of everything you need. 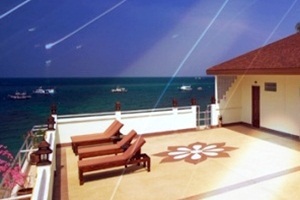 The beach, restaurants, shops, spa, diving, nightlife and much more,it is all here. If you have not found us yet, just look for the horizontal coconut trees on the beach. We hope to see you soon. Do not miss our special seafood barbeques on the beach, Mondays and Fridays at the Lotus Restaurant and Beach Bar the only place on Koh Tao serving fresh Lobster. 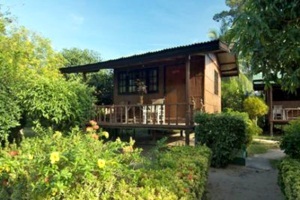 Bungalows set in gardened area of a typical wooden construction right in the centre of Sairee Beach. 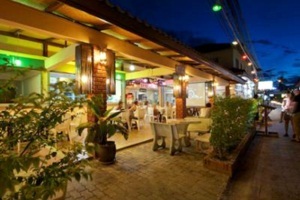 Literally 2 minutes walk to shops, restaurants, bars and the stunning beach. Reception staff available during the day with internet connections, tour service etc. Rooms are spacious with large double bed though bed linen is very basic. Bathroom adequate but be prepared that no hot water and actual room is just attached to bungalow. 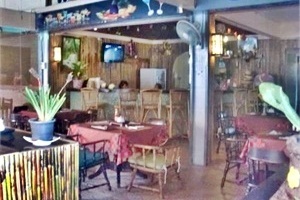 Ideal for backpackers, good price, good location. Would use again.